Everyone has a crush on the Canadian Prime Minister. Even the Foreign Minister has fallen under the Canadian PM's spell. 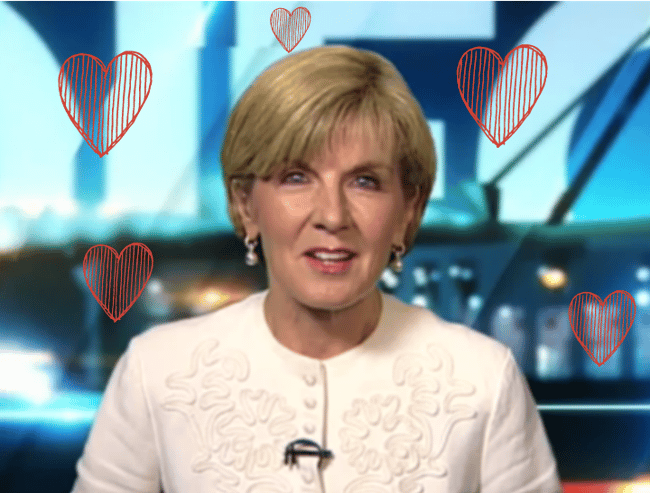 Foreign Minister Julie Bishop was on The Project tonight, and as would be expected, she was questioned about the days political revelations. But there was one gold question from guest panelist Fifi Box that prompted quite the reaction. 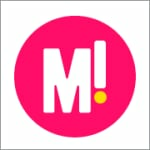 Not hard hitting journalism, friends – but very entertaining. Yes, Ms Bishop. Bush is the ‘one’. Box clarified. “Well, I think Prime Minister Trudeau has very attractive policies.” That he does, Foreign Minister. That he does. 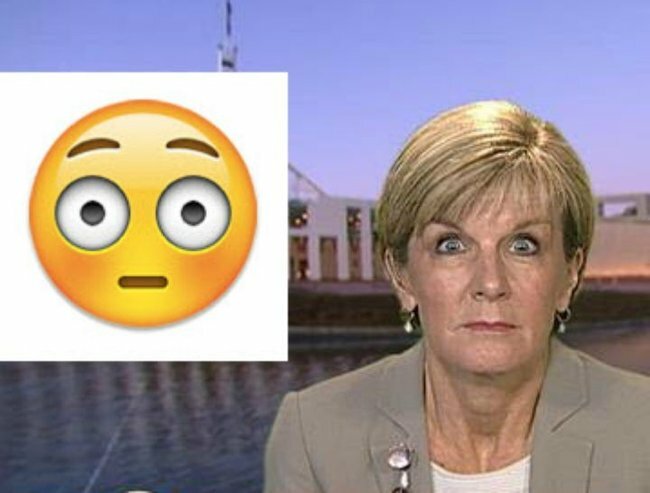 Carrie Bickmore threw a proverbial spanner in the works when she said, “I reckon Turnbull’s hotter than him.” Ms Bishop pulled a face that was not dissimilar to her now infamous emoji impression. She is, however, not the only political leader whose heart has been set a-flutter by Prime Minister Trudeau. It appears he has won himself a new PM BFF in our very own Malcolm Turnbull, who over the last few days has posted an image of himself with the handsome Canadian leader on pretty much every available social media channel. A fact that did not go unnoticed by BuzzFeed’s political editor Mark Di Stefano, who tweeted this little gem earlier today. To be fair, the rest of the world is pining after Trudeau. This is just proof that like us, our pollies are only human.